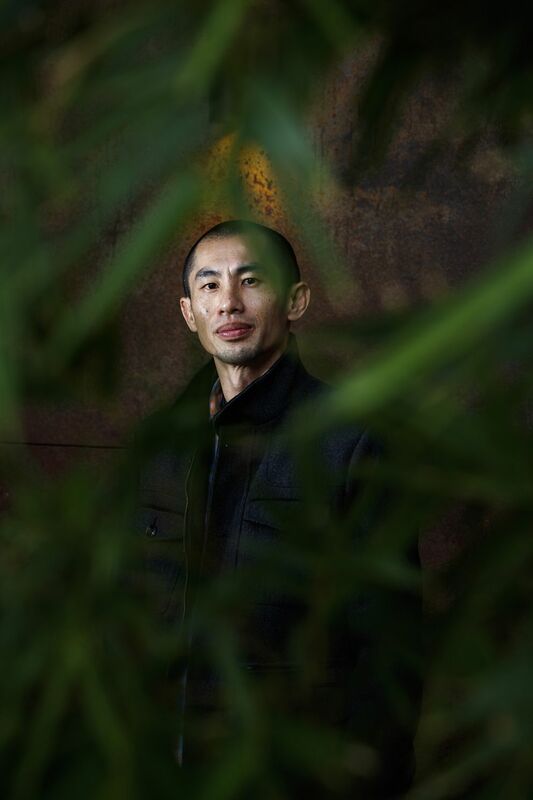 WASHINGTON — Marijuana mogul Seibo Shen is accustomed to fighting — but it is usually on the jiujitsu mat, where the undefeated 40-year-old prefers to engage completely baked. "You know that movie 'Drunken Master'?" he said, nodding to the cult film about a martial arts master whose secret weapon is inebriation. "It's like that. I like to consume so much before a competition that they are literally walking me onto the mat." Shen, founder of a thriving startup that hawks luxury vaporizers at $450 a pop, might want to stock up for an impending match that could prove epic. His opponent? President Donald Trump's Justice Department. Shen is among the swiftly growing ranks of marijuana entrepreneurs who could be headed for a showdown with the federal government. The election of Trump has shocked the marijuana industry into a state of high alert at a time it had planned to be gliding into unbridled growth. Trump's newly confirmed attorney general, former Alabama Sen. Jeff Sessions, is a longtime field lieutenant in the war on drugs with unabashed hostility toward pot. It was only 10 months ago that Sessions was scolding from the dais of a Senate hearing room that the drug is dangerous, not funny and that "good people don't smoke marijuana." Now he is poised to set the direction on national drug enforcement policy at the same time that eight states have legalized recreational use of the drug. Some 60 million Americans are living in states where voters have opted to allow any adult to be able to purchase marijuana. Business leaders like Shen are betting the rapid maturity of the cannabis industry has made it too big to jail. Even before new laws took effect permitting the recreational use of pot in the massive markets of California and Massachusetts, the legitimate pot business had dwarfed its 2011 size, when the Drug Enforcement Administration was still aggressively raiding medical marijuana vendors operating legally under state laws. Since then, former President Barack Obama's Justice Department decreed that states should have freedom to pursue their own policies, and the legalization train seemed to have left the station. But those who have been in the business since the early days of medical marijuana caution the legions of newcomers that federal busts and seizures could quickly make a comeback. Sessions very deliberately left that option open during his confirmation hearing. "There are people in this administration who will crush this industry if they see the opportunity," said Steve DeAngelo, who is considered a guru among pot entrepreneurs. DeAngelo, owner of the bustling Harborside Health Center dispensary in Oakland, was among the first in the industry and he has experienced it all: surprise raids from armed federal agents, unending lawsuits, getting locked in a jail cell. "I don't think people who don't have firsthand experience with the irrationality of federal intervention understand what a threat we are facing." But it's hard to see much anxiety watching the comings and goings inside DeAngelo's dispensary, which these days looks more like a Whole Foods than the shady corner bodegas such operations long resembled. Well-mannered hipsters with encyclopedic knowledge of bud patiently serve customers as sommeliers might, explaining the intricacies of abundant varietals of reefer available to be consumed in ever-evolving ways. On one side of the room is an enticing display of pot-laced baked goods, and opposite that is the kind of fancy kiosk in which artisan granola bars or yogurt cups might be hawked in a high-end grocery; the millennials manning this one are pitching elegantly packaged microdoses of pot injected into dried blueberries and other goodies. DeAngelo says Trump might just let it all be, pointing to mixed signals the president sent during the campaign. But DeAngelo sees an easy legal path for Sessions and other committed anti-drug warriors in the administration, including Vice President Mike Pence, to immediately throw the industry into chaos, should they chose to do so. A survey by Marijuana Business Daily suggests many pot entrepreneurs share his concern, with 20 percent saying they would curb expansion plans. Many more are putting planning off until they see where the White House is going. "Most of us are holding our breath right now," said Emily Paxhia, co-owner of a hedge fund that invests exclusively in the cannabis industry. Lately she has been making sure that each firm in her portfolio has a Plan B in case a federal crackdown comes. Can pot-growing operations, for example, shift to micro-salad greens if the feds come knocking? Can vaporizers be sold to yoga enthusiasts consuming lavender? "We're also starting to look at how some of the new technologies we are investing in could address needs in other countries if the U.S. becomes difficult," Paxhia said, pointing to Canada, where she said a federal embrace of recreational marijuana could open up a $22 billion market. Paxhia shared her outlook at the industrial San Francisco office space of one company in her portfolio, Meadow, which has built a digital platform through which marijuana dispensary offerings can be browsed, and products can be ordered and delivered with the ease of a service like GrubHub. Meadow isn't so much a pot company as a tech company, one of scores of firms that reflect the rapid integration of the marijuana industry into the broader economy. Across the bay in Oakland, a sober-looking team at a company called CW Analytical has just spent big on sophisticated new testing equipment that allows dispensaries to quickly measure the active ingredients and purity in all the pot products they sell. The company embodies how renewed federal busts would affect not just pot growers, but an entire class of lab technicians, scientists, digital engineers, marketers and other skilled professionals. "I would be lying if I told you it was not in the back of our minds," said Emily Richardson, head of business development at CW. "We have been through a lot." She said the firm lost a third of its business amid the last big round of federal raids in 2011. Back then, Jeff Linden wasn't even in the trade. He was running a high-end kitchen cabinet firm. Now Linden has opened a dispensary in San Francisco's Mission District that could be mistaken for an art gallery. "We treat the product like you would treat any other product of its value and price point," he said of his shop, Medithrive. The buds are displayed on freestanding pedestals the way jewelry in a museum might be, and iPad-toting bud-tenders roam the floor like staff at an Apple store. Customers are invited to examine their purchases under a high-powered microscope that projects an image on a large screen overhead. Linden refers to the security guard stationed in front of his store as a concierge. "Trump's agenda is this long," Linden said, stretching out his arms to make the point the new administration has bigger issues on its plate than him. "I think this industry is too big to roll back. Some people agree with me. Some are very nervous."